The Jumper Balance Saddle Stool with Backrest is virtually identical to the Amazone Balance with Backrest - just with a wider seat. Saddle-like seat based on human anatomy - spreads legs and allows you to draw closer to your work while tilting the pelvis into a comfortable position. Height-adjustable gas stem so you can reach your workstation perfectly. Casters allow you to push the stool out of the way - prevents back problems from lifting and perfect for busy environments where space is at a premium. Balance mechanism stimulates core and keeps you moving for healthy active sitting. There is a lever on the right hand side at the back which adjusts your seat angle on your Jumper Stool. Pull the lever up and simultaneously lean forward. 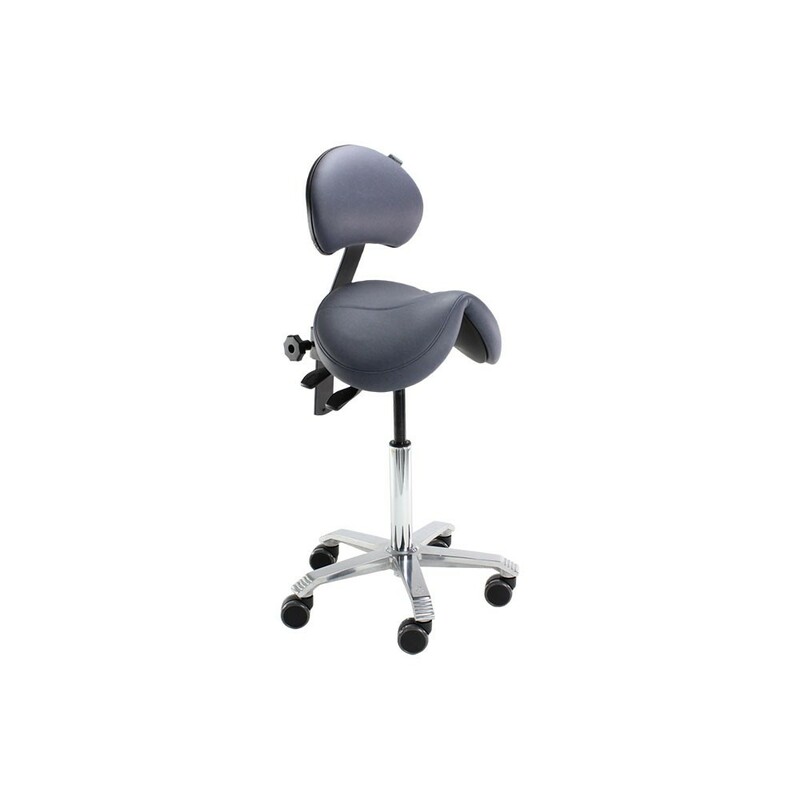 The saddle seat tilts, and provides a sound and healthy back posture.